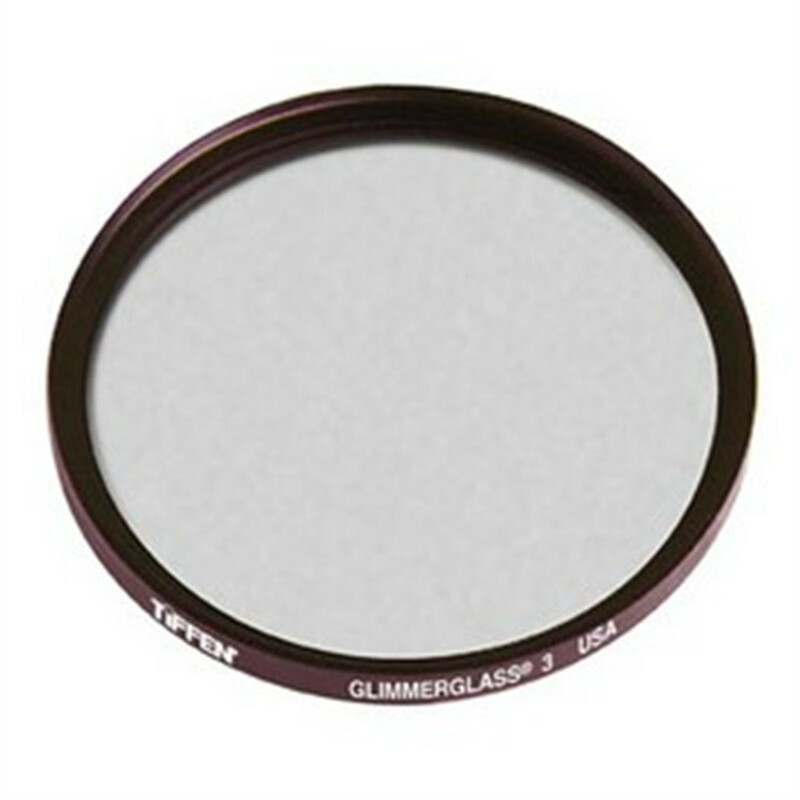 The Glimmerglass is the first series of filters with a ‘psychological edge.’” Tiffen has developed the Glimmerglass series of filters for “making people look their best.” A new type of diffusion filter, the Glimmerglass subtly softens fine details in a unique manner, while adding a mild glow to highlights. As contrast is also reduced, the look is one of enhanced beauty. A first in this field is the fact that the filter is both effective to look at as well as to look through. The filter has a distinct silver sparkle that has been found to be doubly useful. When production starts and people see the glittering on the front of the lens, they become more confident in the knowledge that the filter is working for them and they may also turn in a better performance. Glass has a distinct silver "sparkle"